Institute of Mathematical Geography, All rights reserved in all formats. Works best with a high speed internet connection. Final version of IMaGe logo created by Allen K. Philbrick from original artwork from the Founder. Click the issue you wish to read; Volumes I to V are typeset using TeX. For typeset TeX articles containing images, see the Monograph Series. All materials copyrighted; all rights reserved world wide. 28 is a perfect number--the sum of its proper divisors. 28 = 1 + 2 + 4 + 7 + 14. 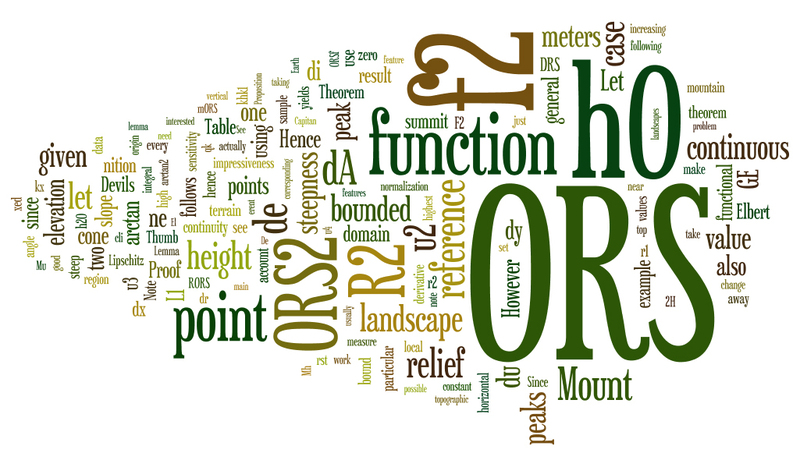 The word clouds (formed in WordClouds.com, online) serve as a visual "abstract" of the adjacent article! Geometry Links from George Mokray....a hat tip to George from IMaGe! Editorial Comment: The film is well worth seeing and the team designed about 100 symbols and a methodology to create more. Might be interesting to imagine such a language not only graphically but also sculpturally as well, a material speech. 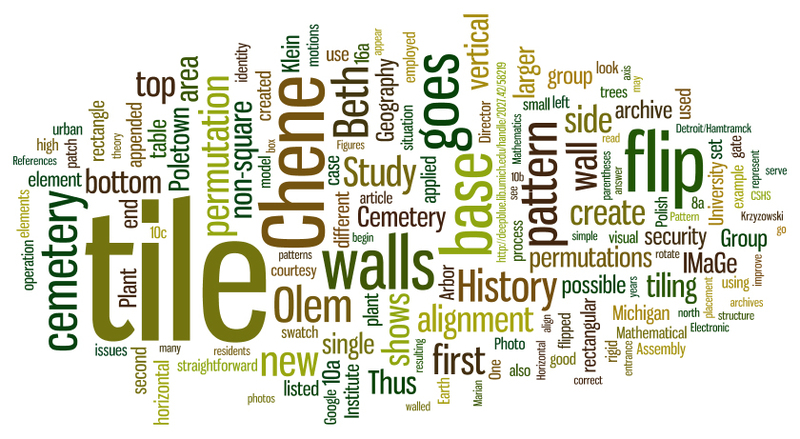 The word clouds (formed in Tagxedo, online) serve as a visual "abstract" of the adjacent article! Hmmm, I wonder if these folks would be interested in making a Geosphere to play the World Game. Left to right, Halil Inalcik, William H. McNeill, Donald F. Lach, c. 1970. Photographed in Cappadocia by Alma Lach. In Memory of David Barr: IMaGe participant, colleague, and friend. Years and years ago, there was a travel article in Rolling Stone magazine that included directions for creating Islamic geometric art. I copied it out by hand and remember putting it in my copy of one of the fine (now old) Shelter books. Never been able to find it again. An additional layer of Islamic geometric art is sometimes the quotations from the Koran that weave through the lines. Incredibly beautiful and spiritual public demonstrations of culture and belief. 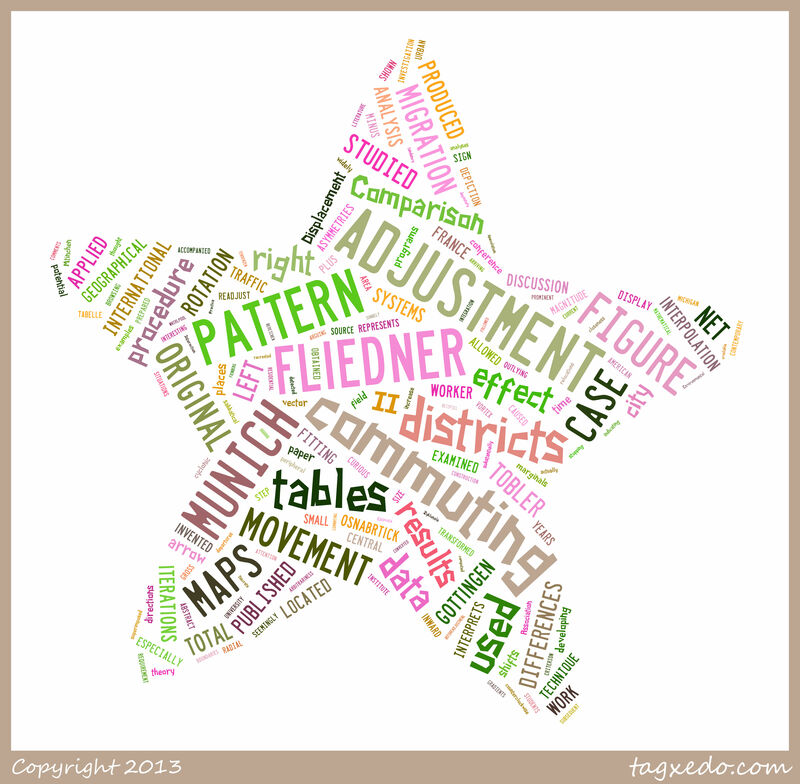 The word clouds (formed in Tagxedo, online) serve as a visual "abstract" of the article linked above! From Joseph Kerski: Geospatial Technologies and Geography Educationin a Changing World. Geospatial Practices and Lessons Learned. From Sandra L. Arlinghaus: MathGeog applet. Best strategy: Go to the App Store, search on MathGeog and download the free app to your iPhone, iPod, or iPad. Link to mobile version. If you click on the link in an iPhone, you should be taken directly to the mobile version. Otherwise, you will simply go to a page containing a link to it. The three bars in the upper left, when clicked on, will take you a navigation bar that slides in from the left. Click on any icon on it to go to another page. In the animation below, the navigation bar is shown entering the picture only once, for image clarity. Remember to use the navigation bar...get to it by clicking on the three-bar symbol. Based on an invited presentation at the annual meetings of the Association of American Geographers, Chicago, Spring 2015. MapMagic, or BeerTails� from Another Land? Save any linked .kmz files on your computer and then open them in Google Earth. Beth Olem Animations: Foreshadowing the Perimeter Project? This article displays best on a wide screen. From Waldo Tobler: http://earth.nullschool.net . "The same was done for the US recently. It has also been applied to the tracks of gundreds of rental bicycles in London. This is one of the best cartographic innovations of the century, though it's mostly the data availability." From Robert Austin: How to Hunt Elephants--Math style. "Mathematicians hunt elephants by going to Africa, throwing out everything that is not an elephant, and catching one of whatever is left. Professors of mathematics prove the existence of at least one elephant and leave the capture of an actual elephant as an exercise for one of their graduate students." From Dyne Benner: "thought you might enjoy Rose-Lynn Fisher's" The Topography of Tears. Click on the cloud button to see a word cloud as an "abstract" of the adjacent article! In Memoriam: Alma S. Lach, 1914-2013. Solstice author. Chicago Reader Blog Obit with links elsewhere, including the Chicago Sun-Times. Click on the left button to see a word cloud as an "abstract" of the adjacent article! Click on the sun/cloud button to see a word cloud of the adjacent article or related material! Click on the sun/cloud to see wind maps as an idea of what is to come in people movement maps. Click on the sun/cloud to see an associated abstract published elsewhere. 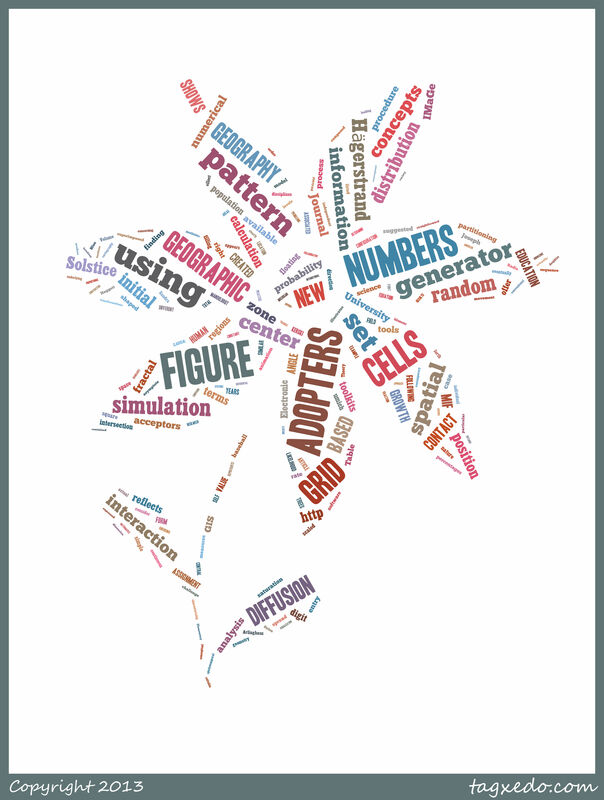 Spatial Mathematics: Theory and Practice Through Mapping. Sandra L. Arlinghaus and Joseph Kerski, forthcoming (c. 2012), CRC Press. Linked video. The work above is the first volume in a series of books to be published by CRC Press in its series "Cartography, GIS, and Spatial Science: Theory and Practice." If you have an idea for a book to include, or wish to participate in some other way, please contact the series Editor, Sandra L. Arlinghaus. Virtual Cemetery with William E. Arlinghaus; an ongoing project that continues in development run in the virtual world in parallel with the trust-funded model of a real-world cemetery. Click on the sun/cloud button to see a word cloud of the adjacent article! QRcode links to a pdf of a screen capture from the PowerPoint file hyperlinked above. Connections: Scholarly Multi-tasking in a Mobile Virtual World, Part 3. QRcode links to a pdf (not fully functional) of the PowerPoint file hyperlinked above. created by the Solstice Editor, in support of a variety of projects. QRcodes link to screen captures from the .kmz files hyperlinked above. Articles marked with an asterisk coordinate with videos linked at the bottom of the Table of Contents. Consider opening two windows and placing them side by side on your screen. *Connections: Scholarly Multi-tasking in a Mobile Virtual World, Part 2. See Revised Monograph #4, below. A Historical Gazetteer of Southeast Asia. Editorial Board, Advice to Authors, Mission Statement. Sandra L. Arlinghaus and John D. Nystuen, 1986.
the Mathematics of David Barr's `Four Corners Project'. Down the Mail Tubes: the Pressured Postal Era, 1853-1984. Spatial Synthesis: Volume II, Book 3. Mouth Geography...Or, Sleep Apnea and Linguistics? Cover background bus animation from Lars Schumann's work in this issue. SOLSTICE, VOLUME XVII, NUMBER 2; DECEMBER, 2006. Part I: Benchmarking the Map. Part II: Interpolation of the Benchmarked Map. From a presentation given at the Western Regional Science Association in Santa Fe, New Mexico, February, 2006. Divine Proportions: Rational Trigonometry to Universal Geometry. From a talk given in Redondo Beach, CA--1005. Photos in this essay looked best using screen set at highest resolution available. Variation on a submission for the Pirelli Relativity Challenge of 2005. Alyssa J. Domzal, Ui Sang Hwang, and Kris J. Walters, Jr.
Sandra Lach Arlinghaus et al. Lewis and Clark, 200 Years: A Visual Tribute to an Exploration. The Gates of the Rocky Mountains. Quotations from articles from The Ann Arbor News. Special section, I, on Ann Arbor, Michigan. Please e-mail if interested in files that are no longer posted; they may be available. Maps and Decisions: Allen's Creek Floodplain, Opportunity or Disaster? A Neighborhood Information System within Ann Arbor, Michigan. Sandra L. Arlinghaus and Lloyd R. Phillips. Elements of Spatial Planning: Theory. Part I, Part II. Parking counts for Planning Department by David Brandt and Jacob Frysinger. Jocelyn La Face, Summer 1999. Rosalyn Scaff, Fall 1999. Base for current city site. Project funded through the City of Ann Arbor; she won a "Community Service Professional Award" for her work (along with Wendy Rampson, Chandra Hurd, and Sandra Arlinghaus). Ongoing work to update this material by Wayne Buente. Amie Ottinger, Fall 1997. Base for a Parks website dealing with prescribed burns. 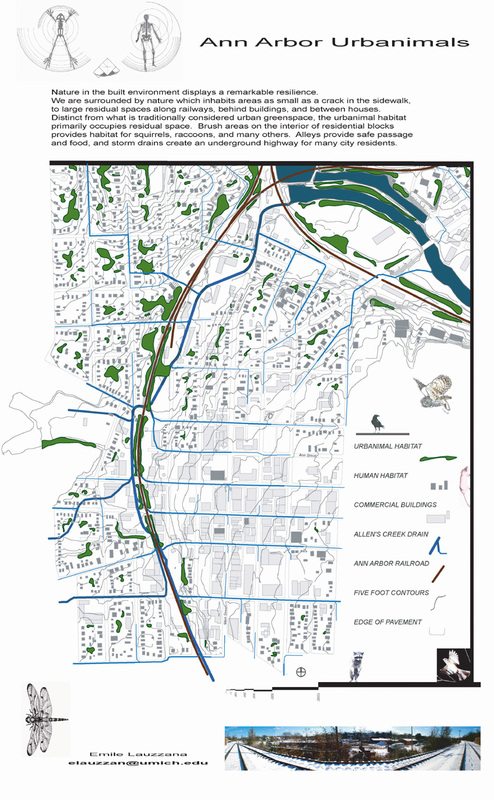 Sandra Lach Arlinghaus Maps and Decisions: Allen's Creek Floodplain, Opportunity or Disaster? Kameshwari Pothukuchi reviewer of: Fast Food Nation: The Dark Side of the All-American Meal by Eric Schlosser, New York: Houghton Mifflin, 2001. Richard R. Wallace reviewer of: High Technology and Low-Income Communities: Prospects for the Positive Use of Advanced Information Technology edited by Donald A. SchÃƒÂ¶n, Bish Sanyal, and William J. Mitchell, MIT Press, 1999. Front matter: Winter, 2001--Editorial Board, Advice to Authors, Mission Statement. On a slow modem this article will take a long time to load. Review of: Arundhati Roy, The Cost of Living, Modern Library, 1999, 126 pp., $11.95 (pap.). Front matter: Summer, 1999. Editorial Board, Advice to Authors, Mission Statement. Sandra L. Arlinghaus and William C. Arlinghaus. Animaps III: Color Straws, Color Voxels, and Color Ramps. Richard Wallace. Book Review: AndrÃƒÂ© I. Khuri, Thomas Mathew, and Bimal K. Sinha, Statistical Tests for Mixed Linear Models, John Wiley & Sons, 1998, 352 pp., $69.95 (cloth). Seema Desai Iyer. Book Review: Castells, Manuel (1996). The Rise of the Network Society (The Information Age: Economy, Society and Culture, Volume 1). Malden, MA: Blackwell Publishers, Inc. (556 pages, bibliography 51 pages, index 23 pages). Front matter: Summer, 1998. Editorial Board, Advice to Authors, Mission Statement. Sandra L. Arlinghaus, William D. Drake, and John D. Nystuen with data and other input from: Audra Laug, Kris S. Oswalt, and Diana Sammataro. Animaps. Frank E. Barmore (reprinted, in part, from The Wisconsin Geographer (with permission)). Sandra L. Arlinghaus, Ruben De la Sierra. Revitalizing Maps or Images? Front matter: Winter, 1998. Editorial Board, Advice to Authors, Mission Statement. Sandra Lach Arlinghaus. Animated Four Color Theorem: Sample Map. Sandra Lach Arlinghaus. Animaps, II. Front matter: Summer, 1997 Editorial Board, Advice to Authors, Mission Statement. Author: John D. Nystuen. Why Whales Don't Freeze or Kidney-Shaped Airports: Spatial Analysis and Spatial Design. Author: Frank Harary. To the Memory of Clyde Tombaugh, 1906-1997. Front matter: Winter, 1997. Editorial Board, Advice to Authors, Mission Statement. John D. Nystuen. The Photographic Record. SunSweep: A Visit on the Summer Solstice. Sandra L. Arlinghaus, Frederick L. Goodman, Daniel A. Jacobs. Buffers and Duality. 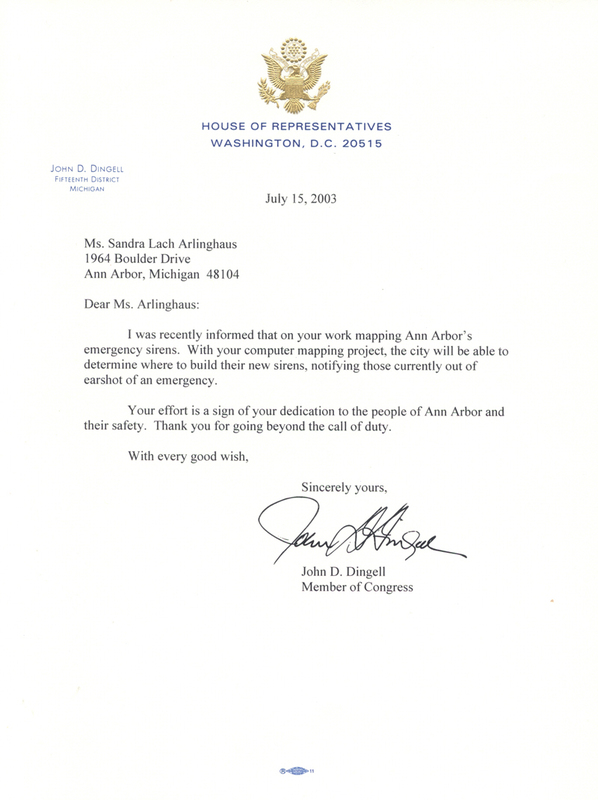 Sandra L. Arlinghaus, William C. Arlinghaus. A Graph Theoretic View of the Join-Count Statistic. John D. Nystuen, Andrea I. Frank. Differences in Feature Representation in Digital Map Bases. John D. Nystuen, Rhonda Ryznar, Thomas Wagner. "The Greening of Detroit, 1975-1992: Physical Effects of Decline." Sandra Lach Arlinghaus. "Algebraic Aspects of Ratios." Daniel Jacobs. "U.S. Route 12 Buffer." Sandra Lach Arlinghaus. "Web Fractals: An Overview." Sandra Lach Arlinghaus. "Part II. Elements of Spatial Planning. Theory. Merging Maps: Node Labeling Strategies. Richard Wallace: "Motor Vehicle Transport and Global Climate Change: Policy Scenarios." Sandra L. Arlinghaus, William C. Arlinghaus, John D. Nystuen: "Discrete Mathematics and Counting Derangements in Blind Wine Tastings." Sandra Lach Arlinghaus: "Elements of Spatial Planning: Theory. Part I." Virginia Ainslie and Jack Licate: "Getting Infrastructure Built. Cleveland Infrastructure Team Shares Secrets of Success." Frank E. Barmore: "Center Here; Center There; Center, Center Everywhere." Barton R. Burkhalter: "Equal-Area Venn Diagrams of Two Circles: Their Use with Real-World Data." Sandra L. Arlinghaus, William C. Arlinghaus, Frank Harary, John D. Nystuen. "Los Angeles, 1994--A Spatial Scientific Study." Sandra L. Arlinghaus, William C. Arlinghaus, Frank Harary: "The Paris Metro: Is its Graph Planar?" Reprint. Michael F. Dacey: "Imperfections in the Uniform Plane." Sandra L. Arlinghaus and Richard H. Zander: "Electronic Journals: Observations Based on Actual Trials, 1987-Present." John D. Nystuen: "Wilderness As Place." Frank E. Barmore: The Earth Isn't Flat. And It Isn't Round Either: Some Significant and Little Known Effects of the Earth's Ellipsoidal Shape." Sandra Lach Arlinghaus: "Micro-cell Hex-nets?" Sandra L. Arlinghaus, William C. Arlinghaus, Frank Harary: "Sum Graphs and Geograhic Information." William D. Drake, S. Pak, I. Tarwotjo, Muhilal, J. Gorstein, R. Tilden. "Villages in Transition: Elevated Risk of Micronutrient Deficiency." Harry L. Stern: "Computing Areas of Regions with Discretely Defined Boundaries." Sandra L. Arlinghaus, John D. Nystuen, Michael J. Woldenberg: "The Quadratic World of Kinematic Waves." Reprint. Frank Harary: "What Are Mathematical Models and What Should They Be?" Frank E. Barmore: "Where Are We? Comments on the Concept of Center of Population." Sandra L. Arlinghaus and John D. Nystuen: "The Pelt of the Earth: An Essay on Reactive Diffusion." Sandra L. Arlinghaus, David Barr, John D. Nystuen: "The Spatial Shadow: Light and Dark--Whole and Part." Reprint. Saunders Mac Lane: "Proof, Truth, and Confusion, The Nora and Edward Ryerson Lecture at The University of Chicago in 1982." Robert F. Austin: Digital Maps and Data Bases: Aesthetics versus Accuracy." Reprint. William Kingdon Clifford: "Postulates of the Science of Space." Sandra Lach Arlinghaus: "Beyond the Fractal." William C. Arlinghaus: "Groups, Graphs, and God"
John D. Nystuen: "A City of Strangers: Spatial Aspects of Alienation in the Detroit Metropolitan Region." Sandra Lach Arlinghaus: "Scale and Dimension: Their Logical Harmony." Sandra Lach Arlinghaus: "Parallels Between Parallels." Sandra L. Arlinghaus, William C. Arlinghaus, and John D. Nystuen: "The Hedetniemi Matrix Sum: A Real-world Application." Sandra Lach Arlinghaus: Fractal Geometry of Infinite Pixel Sequences: "Super-definition" Resoultion?" Institute of Mathematical Geography (IMaGe). All rights reserved worldwide, by IMaGe and by the authors. One article in Solstice was a Pirelli INTERNETional Award Semi-Finalist, 2003 (Spatial Synthesis Sampler). Solstice is listed in the Directory of Open Access Journals maintained by the University of Lund where it is maintained as a "searchable" journal. Congratulations to all Solstice contributors.